I am Luuk van Gestel and I am 17 years old. TWC het snelle wiel Bladel. My dad is really in to cycling and when I turned 8 years old I was allowed to come and take a look at the cycling club. I liked the ambiance at the club and the fun during the training so I decided to stop my football career and become a cyclist. I played some football when I was younger. I am a fast rider that can survive little climbs. In the winter I ride on the track in Amsterdam. 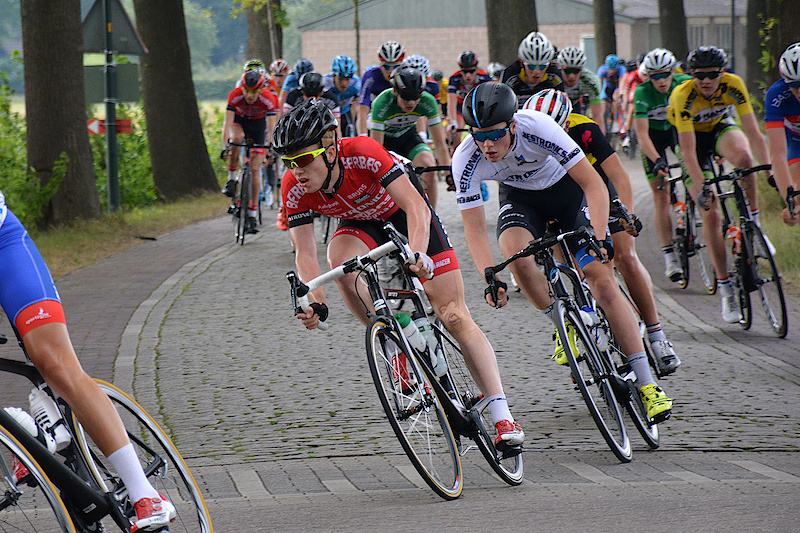 Victory in the Dutch classic Omloop van Noordwest Overijssel. Tom Dumoulin: stage 9 Tour de France 2016. Paris-Roubaix because of the heroic cobblestone sections and De 8 van Bladel because it is my home race. I just listen the playlist 'chill hits' on Spotify. I hope to participate at the world championships in Innsbruck 2018.